In the UK the temperature will not go above 23C. What will the levels of humidity? The CREC control system dynamically changes the air supply temperature to control RH levels. In the UK this can ensure 100% compliance with ASHRAE Class 1 Allowable standards for relative Humidity. How is the air filtered? The standard CREC has a low level of filtration. This can be supplemented by G3 pre-filters and G4 panel filters. It is normal to maintain and EcoCooling CREC every 3 months. A number of approved contractors can provide maintenance. How long do the filter pads last? Filter pads last from 3 to 5 years. What happens in Freezing conditions? The CRECs automatically drain when not in cooling mode. The water supply system is also automatically drained to prevent frost damage in cold weather. Can you catch Legionnaires’ disease from and EcoCooling Evaporative Cooler? No, primarily because the circulating water is less the 20C and no droplets are formed. An EcoCooler is classed as a low risk (the same as a hot and cold water supply system). A legionella risk assessment is produced as part of the commissioning process. Yes, the water is re-circulated until the evaporation has concentrated it to its scaling point or when the cooling is turned off and the cooler automatically drains. The EcoCooling CREC has a parts-only warranty of 2 years. Is the EcoCooling, CREC suitable for all IT equipment? Older equipment such as mainframe computers and paper media systems require close control of relative humidity and so evaporative cooling cannot be used. 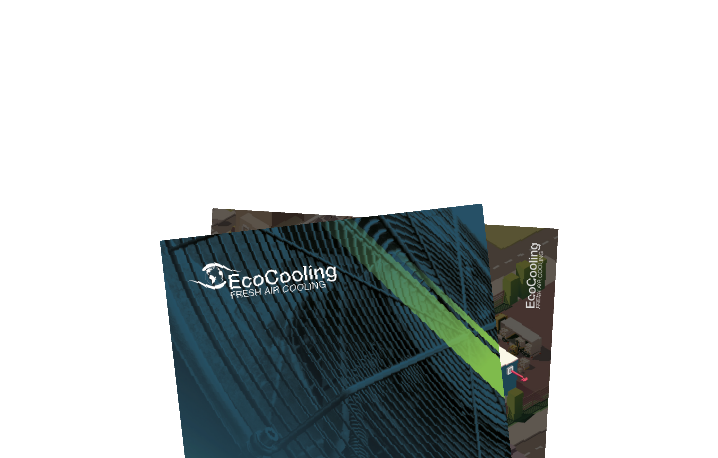 Is the EcoCooling CREC suitable for all global locations and climates? No, it is not suitable for tropical climates where the wet bulb temperature of the ambient air can exceed 25C. EcoCooling can provide specific advice on performance for any location in the world. EcoCooling holds a complete inventory of spare parts in the Uk. Is the EcoCooling CREC CE marked? All EcoCooling ECP products are CE marked using UK based approved testing and assessment facilities.